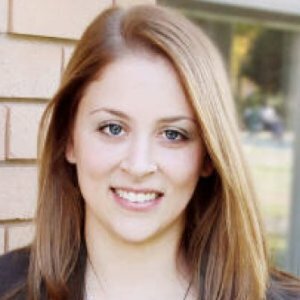 Rachel Howe has been in the digital marketing field for over 6 years specializing in SEO and Content Marketing. She has past experience working with local businesses to Fortune 500 clients to build their online visibility, leads & sales through search engine optimization and now helps growing B2C companies with content development, content marketing, SEO and influencer marketing. Finished two and a half marathons. Completed two at the Wright Patterson AFB in Dayton, Ohio and a half marathon in Chicago. I worked with Rachel on our corporate web site. When we started, I knew relatively little about SEO, content marketing and web site strategy. Rachel worked with us to explain how to get better results, how to build campaigns and improve the overall usefulness of our web site. She has the patience to clearly explain the nuances of search engines and why certain practices work, and why others do not. She was also able to show how simple changes made on our site had profound effects on how customers could find us and do business with us. The experience left me much more educated about the workings of the web, and how companies can draw more customers and more activity to their site. Rachel has a unique blend of technical knowledge, practical experience and effective communication that can be used by any company looking to improve their digital presence. As a small business owner, you have a limited marketing budget and need to spend it as wisely as possible. What are the most effective ways to market your small business? Learn about the types of marketing channels that are most effective for SMBs today and makes the most sense for your business.